When it comes to individual play, parents are having a hard time these days. Although that is how we grew up - playing by ourselves - we feel that we have to provide our children constant entertainment. It should not be so! Playing individually can benefit children’s development in many ways, from improving imagination to self-discipline and perseverance. There are many ways children can spend their quiet time. Letting them read their books is one of the best ways, as children are able to remember the story or make up their own version on the basis of the illustration they see. Although children would certainly sit quietly, I would not suggest usingTV or iPad as a quiet time activity as it can make children over-stimulated, passive and limit their imagination. 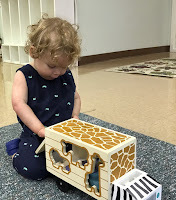 Instead, I would suggest using open-ended toys, that they have unlimited ways to play with, like setting up tents/forts, cardboard boxes, building blocks, figures, soft toys will help their imagination and creativity. Rotating different toys also helps, as children will get back their long forgotten toys as if they received a new toy. When it comes to rotating toys, I think we can say that less is more, i.e. 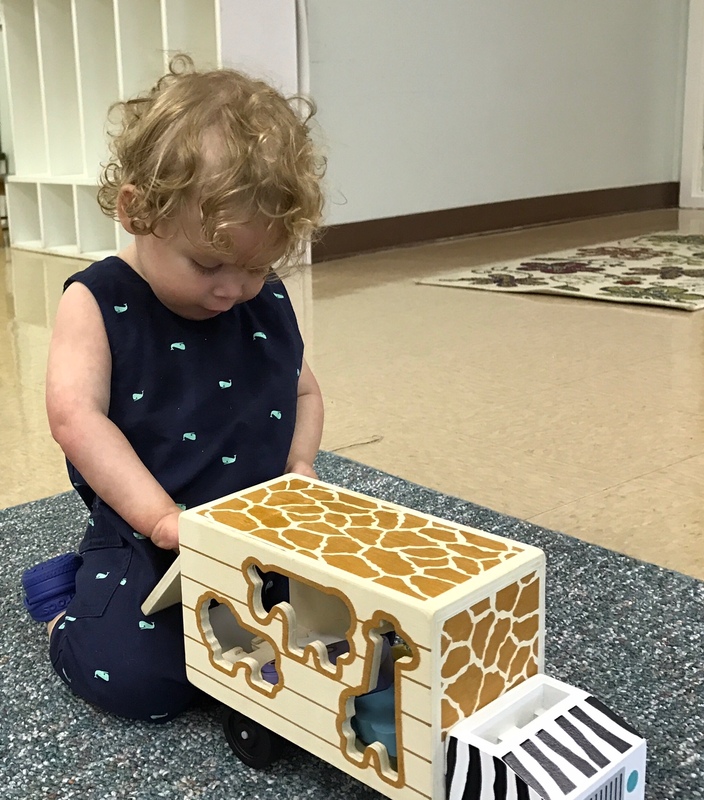 having less number of toys out at the same time will engage children more than having a large number of toys out at the same time. Drawing and colouring are also a good choice, not only keeping children busy but helping their fine motoric skills. Introducing sit-down activities will later help the child stay focused at school and also makes things easier when it comes to homework later. Last but not least, free play, i.e. let children use their own imagination to decide what to play! Some Food for Thought When it Comes to "Sugar"
We equate summer with beach, pool parties, BBQ’s, day trips, vacations, eating out, ice cream, treats and more. So how can we avoid over doing it on the sugary treats when the US dietary guidelines recommend children consume less than 10% of daily of daily calories from added sugars. Despite the consequences, health professionals agree that parents shouldn't deprive their child of sweets. 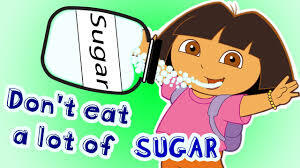 In an article :http://www.cnn.com/2016/11/02/health/sugar-limits-for-children/index.html experts advise, "Sugar is not a 'toxin' that must be excluded from a child's diet,". Often, children who have sweets restricted and feel deprived will not learn how to regulate sweets. Instead, they often overindulge whenever the possibility is presented.The key is to help children find a balance with food, helping them learn how to enjoy healthy foods and enjoy (and self-regulate) treats." Below are some Sweet Suggestions by Lisa Drayer nutritionist, author and health journalist on, How to stop sugar from sneaking into your child's diet. Allow children one sweet treat or dessert per day. Good choices include animal crackers, vanilla ice cream or frozen yogurt. However, if kids are set on having chocolate chip cookies, this should not create a "food fight," Isoldi said. And -- deep breath -- don't restrict portions, even if it makes you anxious to watch. "Parents should let their little one decide on the amount to eat, because only allowing one or two cookies will create a restrictive environment that is counterproductive." That doesn't mean that you have to offer the whole box, however. You can start by giving your child two cookies, but instead of saying, "You may have ONLY two cookies, do you hear me?" you can instead say, "Here are two cookies. Oh, you want three? Sure." The idea is that your child should be able to learn his or her own internal satiety cues, which can ultimately help prevent eating issues later in life. Keep fruit drinks, soda and sugary beverages out of the house. "There's no nutritional benefit to drinking sugar-sweetened beverages," Isoldi said. And although liquid calories can still add up, you don't feel as full as you would from solid foods. The result? People who drink sugary beverages don't necessarily cut back on their calorie intake to compensate. For an alternative to soda, dilute 4 ounces unsweetened juice with 4 ounces seltzer water and flavor with lemon, lime or other fresh fruit. Watch out for sugars in foods that you don't think of as sweet. Keep an eye on breads, sauces and condiments by searching ingredient lists for names such as high fructose corn syrup, dextrose, glucose, sucrose or other words ending in "ose," evaporated cane juice, brown rice syrup, malt syrup and molasses. Food packages will soon list "added sugars" as a separate line on nutrition labels, so the amount of these sugars will no longer be "hidden." Remember, even natural sugar is sugar. Many people think that "natural" sugars like honey and agave are healthier than ones that are more highly processed, like sucrose or table sugar. But when you look closely, you see that all of these sugars contain fructose and glucose. And while honey may offer some antioxidants, you would probably have to consume a lot of honey calories in order to experience any health benefits. Honey and agave are actually sweeter than table sugar and contain more calories: One teaspoon of sucrose has 16 calories, while 1 teaspoon of agave or honey has 21 calories.